Printz Honor-winning author Adam Rapp spins a raw, gripping, and ultimately redemptive story about three disaffected teens and a kidnapped child. narrative ventures deep into psychological territory that few dare to visit. Adam Rapp is the acclaimed author of Punkzilla, a Michael L. Printz Honor Book; Under the Wolf, Under the Dog, a Los Angeles Times Book Prize Finalist and winner of the Schneider Family Book Award; and 33 Snowfish, an American Library Association Best Book for Young Adults. He is also an accomplished playwright, a writer for Season Three of the HBO series In Treatment, and a Pulitzer Prize finalist for Drama in 2007. Adam Rapp lives in New York City. Readers should know the kind of grueling, soulful, gut-punching work to expect from Rapp. 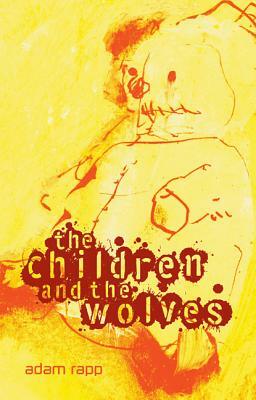 Still, be warned: this is his most hellish - and hellishly readable - vision yet...he's also creating, book by book, a vital library of the furies and hopes of a forgotten underclass, and always in their own confused, desperate, and endlessly resourceful voices...few YA authors are so consistently lauded. Multiple copies may be required. Rapp's poetic use of language makes for a brutally beautiful read... The author continues to push the boundaries of fiction for teens by providing an unrelentingly real and intensely powerful voice for the disenfranchised youth who dangle on society's edge, forgotten until they commit random acts of violence because they have been shown no other way. Hard to read, impossible to forget. The raw and edgy story line and language have a powerful impact, and the novel will deservedly find an appreciative audience. Give this one to mature fans of books like Joanne Harris’s Blueeyedboy and Sapphire’s Push. Rapp creates distinct voices for the four characters, and, as off-putting as the subject is, the tale has a frenzied power. In a world where parents do leave their children to the wolves, and where television, the mall, video games, and drugs are more seductive than anything school has to offer, such deeds don't seem so unthinkable. Rapp captures a world that might just be right down the street. Rapp paints a bleak and deeply disturbing portrait of the soullessness of contemporary adolescence, from the casual racism that pervades the book’s language to its obsessive attention to the grotesque and visceral. This novel is tough, difficult, and disturbing yet still compulsively page-turning. THE CHILDREN AND THE WOLVES will forever have an effect on you and your heart.